Kundli Matching in Hindi – NOW, in a matter of seconds! That’s right! 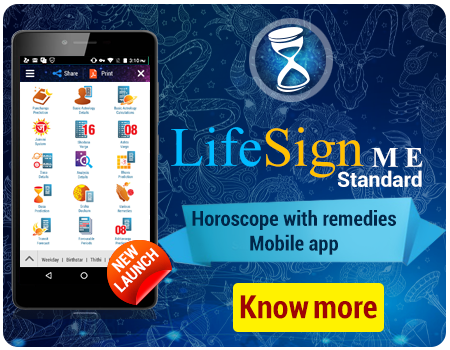 Now you can find your soul mate based on Vedic astrology kundli matching in a matter of seconds, and what’s more, you can check it from the comfort of your home. All you need to do is enter the Date, Time and Place of Birth in the kundli matching software and you get the kundli matching results instantly. Astro-Vision SoulMate Personal is the most trusted kundli matching software and has been used by marriage bureaus, astrology centres, astrologers and popular matrimonial websites all over the world. All the popular matrimonial websites are powered by Astro-Vision SoulMate Kundli Matching Software. 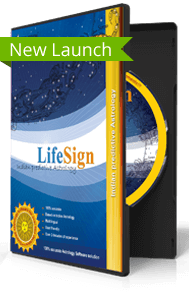 Astro-Vision SoulMate Personal Kundali Matching Marriage Software also provides you a choice of chart formats, like, North Indian, South Indian, East Indian, Kerala and Sri Lankan chart styles. This means you can generate kundali matching reports from the kundli matching software according to your requirements. You can also select the regional preferences based on which a match is made. The minimum check performed is the star compatibility check or Gun Milan Check. Other optional checks include Kuja Dosha Check or Manglik check, Papa Samyam Check and Dasa Sandhi Check. These optional checks can be enabled or disabled according to your customer’s preference. You can also save the details of the prospective bride or groom for future reference in this Kundali Match Software. 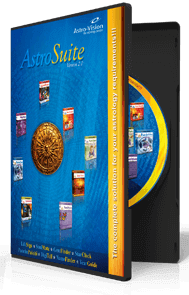 Astro-Vision SoulMate Personal Kundli Matching Software has been tuned for personal use, and hence has a validity of either one year or 100 Kundali matches, whichever comes earlier. If you are looking for a marriage matching software for commercial use, then check out Astro-Vision SoulMate Bureau Software. Astro-Vision SoulMate Personal Kundali Matching Software performs kundali matching of two individuals based on a number of factors. The minimum is star compatibility or nakshatra porutham. Star Check or Nakshatra Compatibility check is used for calculating the compatibility between birth stars. There are various options for calculating the compatibility. Although the basic principles of judging compatibility are the same, there are variations in the standards applied in different places. Different methods are provided to suit regional practices. Astro-Vision SoulMate Personal Kundli Matching Software has the provision for performing a Manglik or Kuja Dosha Check. Manglik or Kuja Dosha is determined based on position of Kuja in a Kundali, since in certain positions, it is considered to adversely affect the longevity of the partner. This dosha is believed to be reduced and sometimes even eliminated by the presence of similar dosha in the Kundali of the other partner. Within the Manglik Check, a Strict Manglik Check is also available. Astro-Vision SoulMate Personal Kundali Matching Software also checks for dasa sandhi as an optional feature. The change from one dasa to another is considered a very difficult period for any individual. If the dasa changes for the girl, as well as the boy take place within a short span, it is believed to make life tough for the married couple and hence matching is not recommended in such cases. Astro-Vision SoulMate Personal Kundali Matching Software also checks for papa matching between the kundalis. The total Papa (Dosha) in a kundali is calculated by assigning papa points for different planetary positions in the kundali. The total papa points in the boy's kundali should ideally be the same or marginally higher than that of the girl for a good kundali match. कुंडली मिलान - अब, कुछ ही सेकंड में! यह सही है! अब आप कुछ ही सेकंड में वैदिक ज्योतिष जन्म कुंडली मिलान से अपने जीवनसाथी का पता लगा सकते हैं , वह भी , आराम से अपने घर बैठे ही। आपको जन्म कुंडली मिलान सॉफ्टवेयर में केवल अपनी जन्म तिथि, जन्म समय और जन्म स्थान दर्ज करना है; तुरंत कुंडली मिलान परिणाम प्राप्त होगा।. आस्ट्रो-विज़न व्यक्तिगत कुंडली मिलान सॉफ्टवेयर सबसे भरोसेमंद कुंडली मिलान सॉफ्टवेयर है और उसका उपयोग दुनिया भर के मैरिज ब्यूरो, ज्योतिष केंद्र, ज्योतिषि और विवाह संबंधी लोकप्रिय वेबसाइट आदि कर चुके हैं। सभी विवाह संबंधी लोकप्रिय वेबसाइट आस्ट्रो-विज़न व्यक्तिगत कुंडली मिलान सॉफ्टवेयर के भरोसे चल रहें हैं । . आस्ट्रो-विज़न सोलमेट व्यक्तिगत कुंडली मिलान सॉफ्टवेयर कई कारकों की एक संख्या के आधार पर दो व्यक्तियों का कुंडली मिलान करता है। उनमें न्यूनतम है सितारा संगतता या नक्षत्रों का मेल। नक्षत्रों का चेक या नक्षत्र संगतता चेक जन्म सितारों के बीच संगतता की गणना के लिए प्रयोग किया जाता है। संगतता की गणना के लिए विभिन्न विकल्प हैं। संगतता पहचानने के बुनियादी सिद्धांत समान होने के बावजूद विभिन्न स्थानों में लागू मानकों में बदलाव है। प्रादेशिक प्रथाओं के अनुरूप करने के लिए विभिन्न तरीके प्रदान किये जाते हैं।. 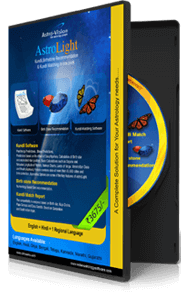 This Janam Kundli and Kundli Matching Software provides exciting features, ideal for Personal Use.